As the New Uffizi project moves forward, we are happy to share with you the official opening of 6 new halls today which are dedicated to Florentine artists from the 17th century. After the opening of the 10 “Blue Rooms” dedicated to foreign artists in December 2011, the nine “Red Rooms” in June 2012 and six rooms in June 2013 dedicated to modern Mannerism, this latest opening of six “Yellow Rooms” numbered 95 to 100 marks an important stage in the completion of the work of the New Uffizi project. All of these new halls mark the renovation and renewal of the first floor Western wing of the Vasari complex with updated climate control and security measures. 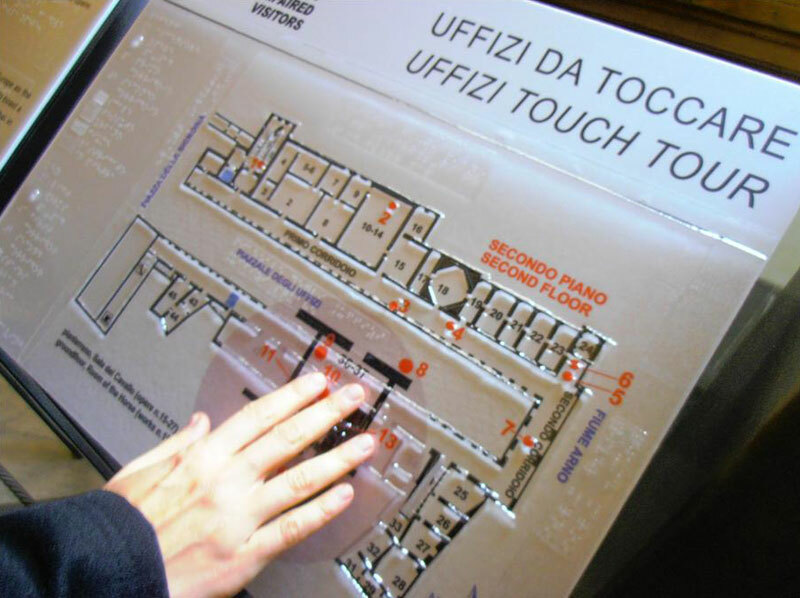 Since 2009, the Uffizi has offered visitors with vision impairment and disabilities the possibility to visit the museum following a special itinerary called the “Uffizi Touch Tour” where they can make use of their sense of touch to “see” works of art. The itinerary permits visitors to touch select pieces of sculpture (with latex gloves on) and a bas-relief of Sandro Botticelli’s “Birth of Venus” especially created for the itinerary. The number of works included in the itinerary has just been expanded from 14 to 27 pieces and was presented today, which marks the International Day of People with Disabilities. The itinerary crosses the museum’s second floor, and includes beautiful works of Roman sculpture including the Hermaphroditus and Sleeping Cupid, said to have inspired Michelangelo in creating a copy of his own. 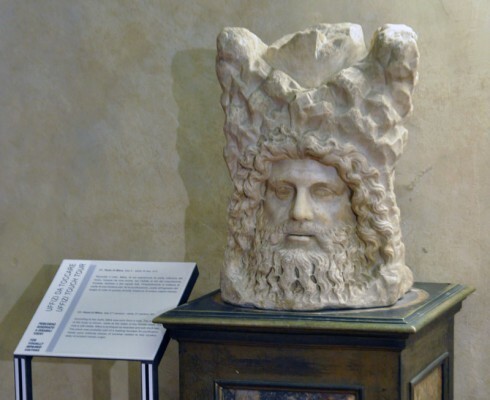 The newly expanded itinerary then heads down to the ground floor to the Hall of the Horse where visitors can continue their exploration of a giant, marble horse which gives the hall its name, as well as the head of Mitra, the Altar of the Vicomagistri and a bust of Cicero, to name just a few of the works on display here. The hall, opened today exclusively for visitors of the tour, can also be reached from the Loggia of the Uffizi and permits its visitors to touch the sculptures in complete independence. For more information on the tour, please read Uffizi by Touch Tour. 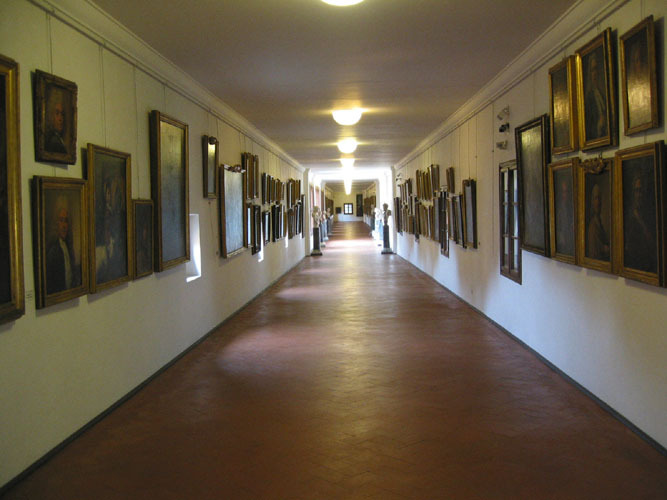 There is no official press release yet but the Superintendent’s office of the Polo Museale Fiorentino Cristina Acidini has spoken of the possibility that the Vasari Corridor will be reopening to the public as soon as January 2014. The famous corridor, built by Vasari in 1565 in just a few months for the wedding of Cosimo I de Medici’s son, connects the Uffizi Gallery to Palazzo Pitti giving visitors today the chance to follow a unique internal walk through Florence. The hallway cuts across Ponte Vecchio and over and inside several medieval houses along its path, with its walls are displaying the Uffizi’s highly prized, one-of-kind collection of artist self-portraits and several works of art from the 16th and 17th centuries. According to what has been publicized so far, the Vasari Corridor might open in an experimental mode starting January 2014, offering 12 guided visits per day to groups of up to 25 people. The news of this possible opening is surely to be appreciated by all of our readers who often ask about how to visit the Corridor. As the opening is not yet official, please stay tuned for more updates. We will share all details as soon as they are available. 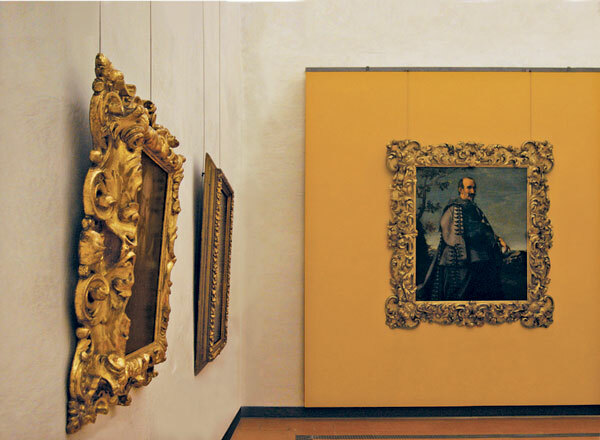 The current exhibition at the Uffizi, “The Grand Prince Ferdinando de’ Medici: Collector and Patron of the Arts“, has been extended until January 6, 2014. During this period, the Polo Museale Fiorentino has decided to offer visitors the chance to participate in a free guided visit of the exhibition on Saturdays. The first visits start this Saturday, November 16. 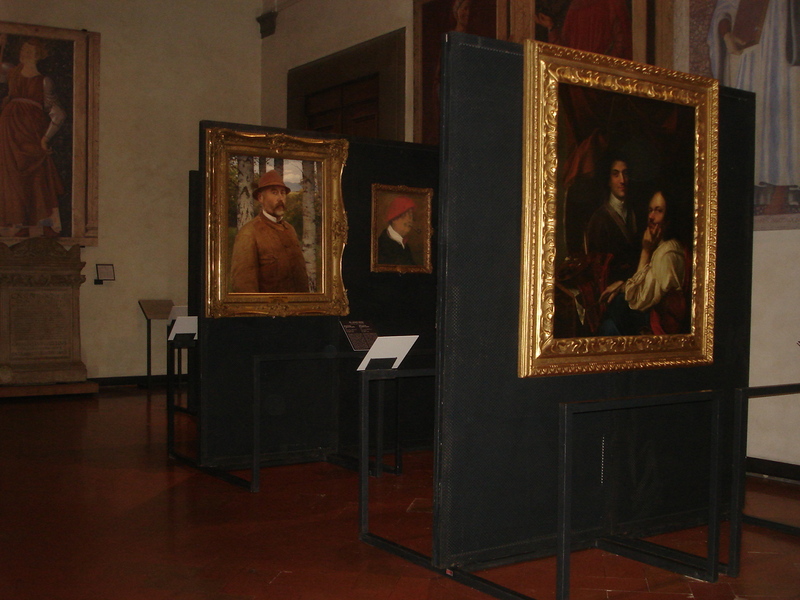 Starting Thursday, November 14 and up to December 19, 2013, the Contini Bonacossi Collection of the Uffizi Gallery will be open for free guided visits. The collection is one of the most important from the 19th century, which in 1969, the Italian State purchased a part destined to the Uffizi Gallery. It is an exceptional opportunity to see about 50 works of art set up in a palace just behind the Uffizi, between via Lambertesca and Chiaddo Baroncelli, that is normally closed to the public. You can admire furniture, ceramics and masterpieces of European painters and sculptors from the 13th to the 16th centuries, with works by Andrea del Castagno, Giovanni Bellini, Girolamo Savoldo, El Greco, Gian Lorenzo Bernini, Diego Velasquez and Francisco Goya. 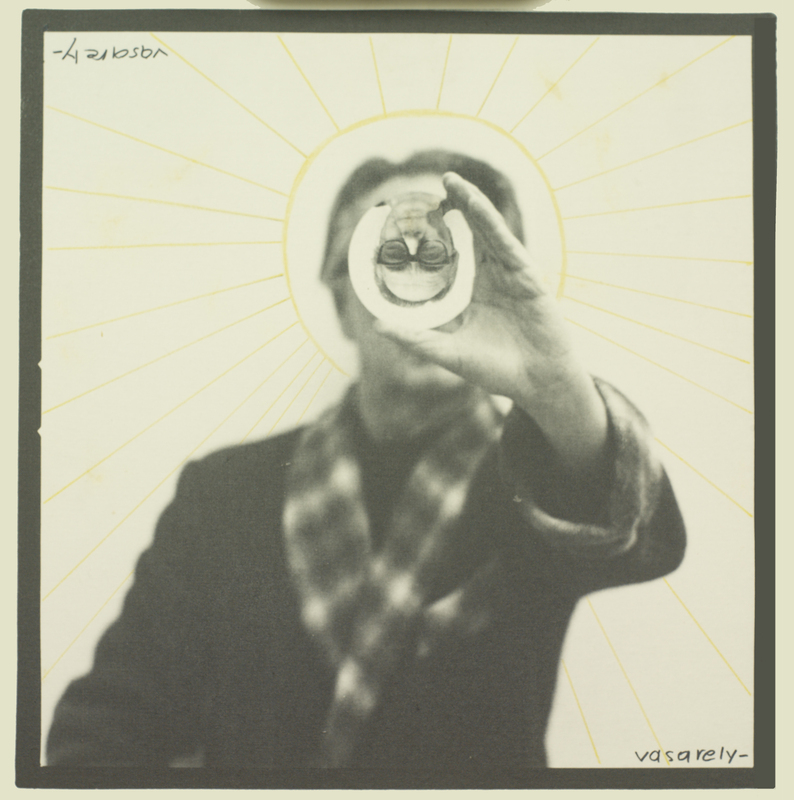 Read more about the collection here. 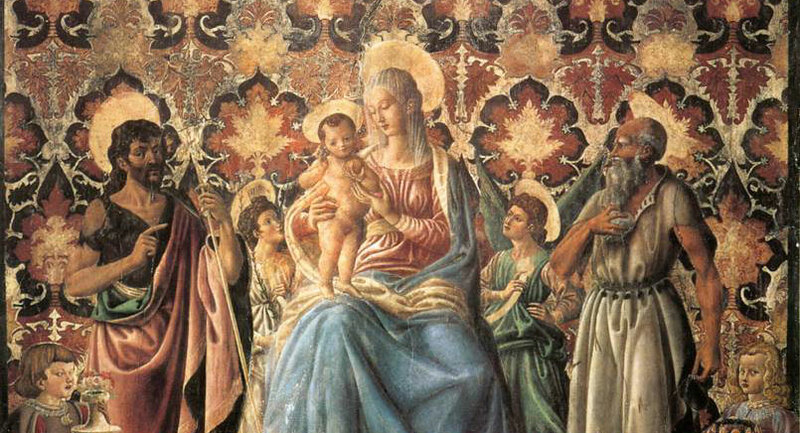 The guided visits are offered by the competent members of the assistants of the Uffizi’s staff, and made possible with the collaboration of the Friends of the Uffizi. Visits are planned at 2:15pm and 4pm every Thursday only upon reservation. Groups will be composed of a maximum of 15 people. Visitors should meet right outside Entrance #1 of the Uffizi (near the entrance to San Pier Scheraggio) about 15 minutes before the visit. To participate, book your visit at +39-055-285610 any time between Tuesday and Saturday between 2 and 4pm. 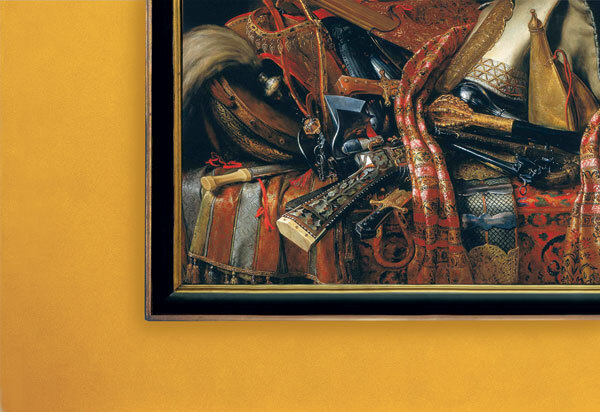 Art Helps Art: Which Artwork to Restore? This year, as a pilot program, the Italian Ministry for Tourism and Cultural Heritage and Activities opened some of its sites for late openings on the last Saturday of the month, including the Uffizi. 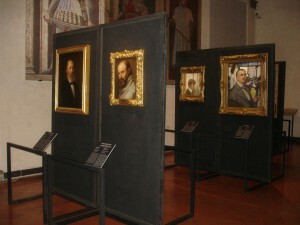 In Florence, the other two sites open are the Accademia Gallery and the Medici Chapels. Since its start, more than 70,000 visitors have taken the opportunity for some late-night art appreciation across all of the sites open for the occasion in Italy. The funds collected during “A Night at the Museum” goes to the new initiative “Art Helps Art“, where the admissions fees paid by visitors on these Saturdays help directly finance the restoration of a work of art in Florence, Naples, Rome or Venice. 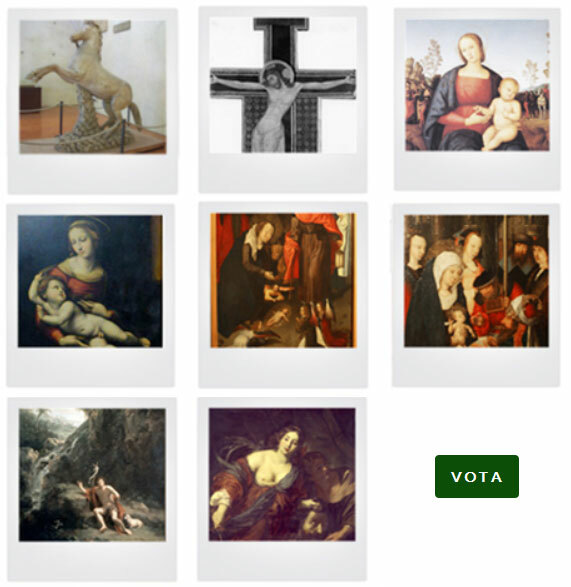 The Italian Ministry is inviting participation in the form of votes to decide which one of 8 works of art gets restored. While the page is only in Italian, you can still cast your vote (you’ll have to enter an Italian region – you can enter “Toscana” – to vote), especially if you participated in “A Night at the Museum”. The first two works on the list are in Florence: the first one is a Roman equestrian sculpture housed in the Niobe Hall in the Uffizi Gallery and the second an important 13th-century Florentine crucifix housed at the Accademia Gallery. Go ahead and cast your vote now! The temporary exhibition showcases 23 works of art from the Uffizi Gallery’s collection of self-portraits, many of which were bought at the end of the 18th and start of the 19th centuries, although there have been many more recent additions. This particular exposition is dedicated to the memory of Miklós Boskovits, a well-know Hungarian art historian that passed away in 2011 who taught in Florence’s university for decades. It is also a recognition of the friendship between Italy and Hungary that is being celebrated this year with the larger exhibition being held at the San Marco museum. The exhibition is the result of collaboration between Hungarian and Italian art historians with a lot of research and interesting information being published in the exhibition’s catalog. The first self-portrait that entered the Uffizi’s collection was that of Károly Markó senior, in 1872; the last, arriving in 2009, is that of János Urbán (1934-) who lives and works in Switzerland. 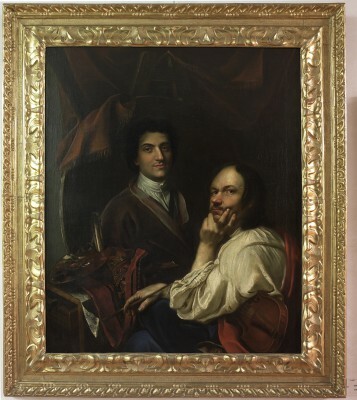 The oldest portrait is that of János Kupeczky (1667-1740), who in the first era of Romanticism was considered the major Hungarian artist of the 17th century. 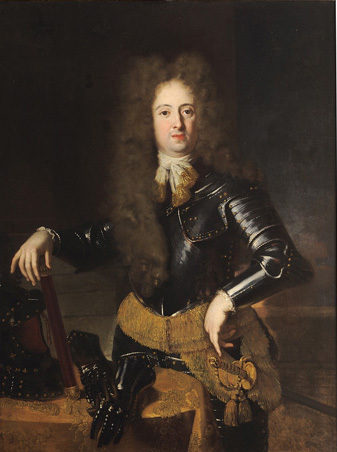 The majority of the Hungarian portraits were donated to the Uffizi Gallery by the artists themselves. Each of the paintings has its own story on how it came to be part of the collection, and by stopping by San Pier Scheraggio you will have a chance to learn some of them! 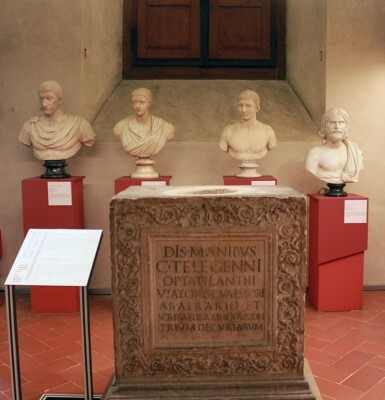 At the Poste Reali space of the Uffizi Gallery, the “Laboratorio Novecento” is offering schools and families the opportunity to visit “Incarnations”, a temporary exhibit giving visitors the chance to see lesser known works of art coming directly out of the Uffizi’s deposits. The theme is tied to the body: its perception, interpretation, the camouflage and transfiguration of ourselves by contemporary artists. 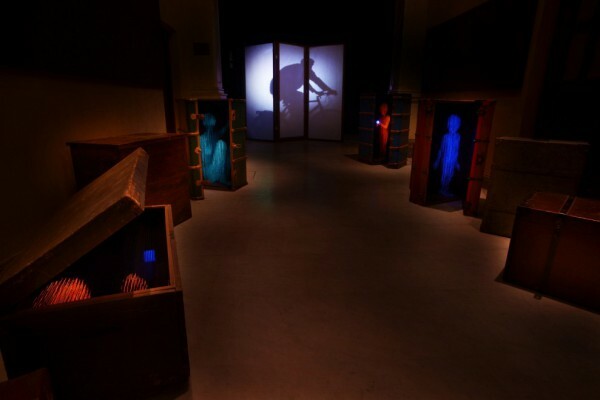 As an example, students that participate in the activities will come face to face to the hollow, engraved face of Käthe Kollwitz as well as the morphological geometric shapes created by Fernand Léger, the fragmentation of the body by Elisa Montessori and the material deformation by Berlinde de Bruyckere. 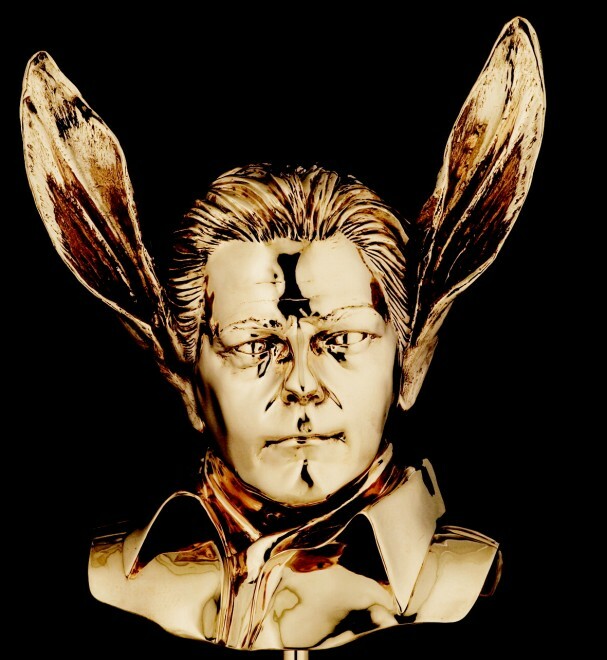 There is also the “death” mask by Yoko Tadanori and the donkey ears by Jan Fabre, as well as the comic and graphical transpositions by Andy Warhol and the lucid geometric creations by Francesca Woodman. The hands-on workshop will allow students to takes the various currents on exhibit and re-elaborate with their own vision an interpretation of their body, to create their own unique “pop art” self-portrait! Student groups participate in activities from 10 to noon Monday through Friday. The exhibit can be visited by the public in general at other times. To participate in the workshops, you have to reserve your visit by emailing didatticacontemporanea@gmail.com or calling Monday and Friday between 9am and 2pm the following number: 370-3157620. As part of a pilot program started this summer, the Uffizi remains open the last Saturday of the month until 11pm, to allow visitors more time to spend at the museum. So that means this Saturday, October 26, and again on November 30th and December 28th, visitors will be able to plan a visit to the Uffizi later in the evening instead of up until 6:30pm. 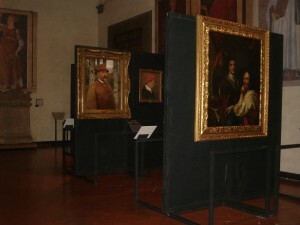 In Florence, the Accademia Gallery and Medici Chapels are also participating in this initiative. Normal admission applies on these nights. 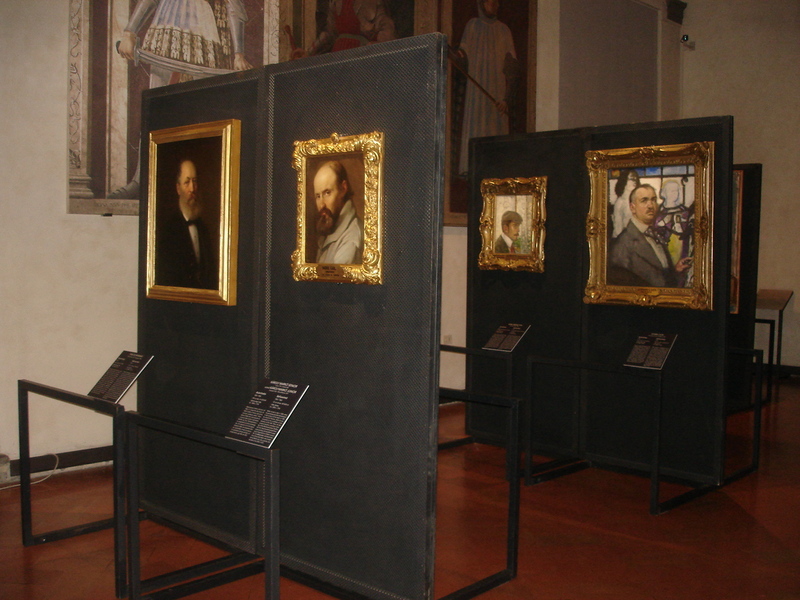 A new series of self-portraits by both Italian and foreign artists that are part of the Uffizi Collection as being added to the last section of the Vasari Corridor. As a consequence, the last section of the Corridor is closed from September 2 – 27, 2013. Any groups visiting the Corridor will reach the window that looks into the Church of Santa Felicità and will then have to return to the Uffizi Gallery to exit.